Rack PDU 2G, Switched, ZeroU, 20A/208V, 16A/230V, (21) C13 & (3) C19 (APC)..
APC Rack PDU 2G, Switched, Zero U, 16A, 230V, Output:(21) C13 & (3) C19, Input: EC 309 16A 2P+E, Locking input power cord 3 m (APC).. Rack PDU 2G, Switched, ZeroU, 32A, 230V, (21) C13 & (3) C19 (APC).. 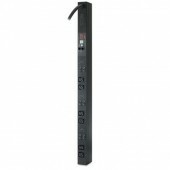 Rack PDU, Metered, Zero U, 22kW, 400V, (6) C19, for High Density Applications (APC).. 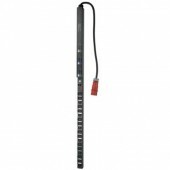 Rack PDU 2G, Switched, ZeroU, 11kW, 230V, (21) C13 & (3) C19 (APC).. Rack PDU 2G, Switched Plus, ZeroU, 32A, 230V, (21) C13 & (3) C19 (APC).. RACK PDU, METERED, ZERO U, 22 KW, 230V, (12)C19 & (6)C13 (APC)..